We promote, facilitate and improve the participation of companies in the VET system. The DELTA team meets in Berlin! 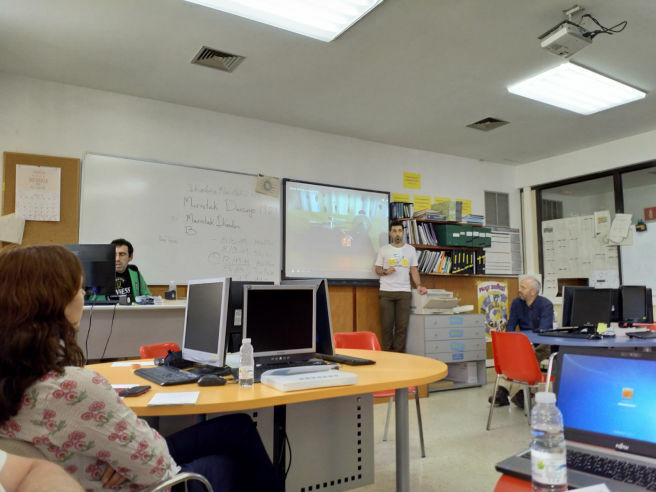 Along the first year of the project, the team developed a tool addressed to VET teachers and VET students, based on the use of Google sites, to create professional digital portfolios in order to present the VET learners´ skills and competences in a more attractive way to companies. 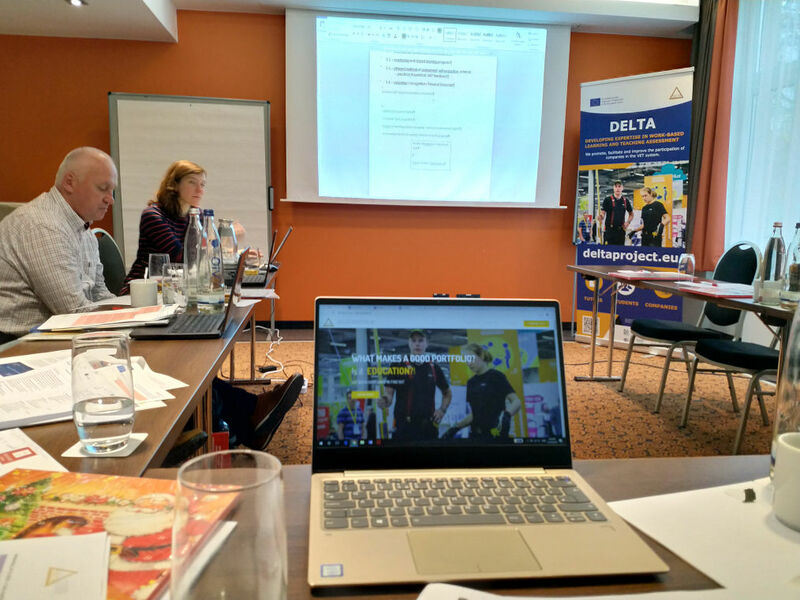 The second half of the project starts with this meeting in Berlin (13th and 14th of November 2018) where partners discussed about the development of a toolkit addressed to companies, to attract them to dual VET and also to improve the quality of the work based learning (WBL) provided by them, and also exchanged experiences on the use of collaborative schemes for WBL, which will be gathered in a final document with some conclusions/recommendations for policy makers, companies and VET colleges themselves. 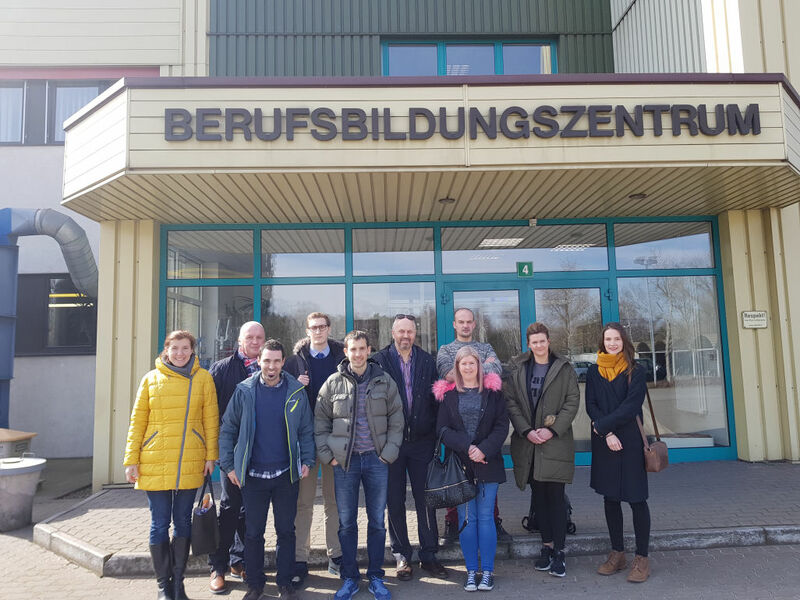 Within the Erasmus+ project DELTA, coordinated by Dundee and Angus College (Scotland), last week three teachers from HETEL (Mikel García from MGEP, Iagoba Bergara from Lea Artibai and Arkaitz Bernaola from Zulaibar) were in Frankfurt (Oder), Germany for a study visit about the VET system in this country, especifically to learn about the type of training tutors in company receive. In Germany, only those with a certificate given by Chambers of Commerce and recognised by the corresponding “Land” (state) can be tutors in company. Thus, if a company wants to host a trainee it needs to have at least one person (the one in charge of training this trainee) with that certificate. This is in many cases a requisite asked by companies in order to hire their staff. During the study visit, the group of teachers visited a VET centre to know how the relation between VET centres and companies is in Germany. They also had the opportunity to visit the training centre of Arcelor Mittal, an in company space where the company trains students in dual VET. In this visit they learnt how the follow up and evaluation is mady by the tutor in company, which kind of training he/she has received and how important this is for companies. 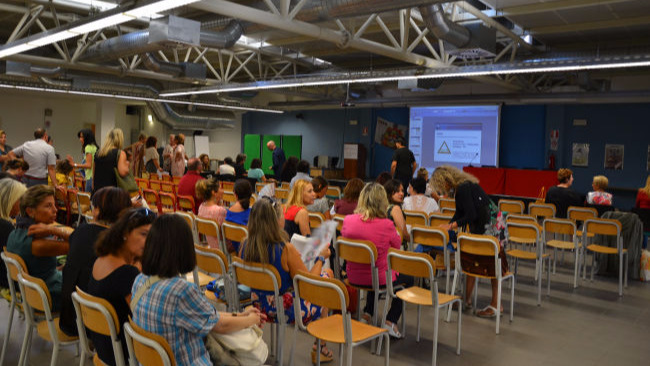 Lastly, the teachers also visited IHP Frankfurt Oder before coming back to the Basque Country. 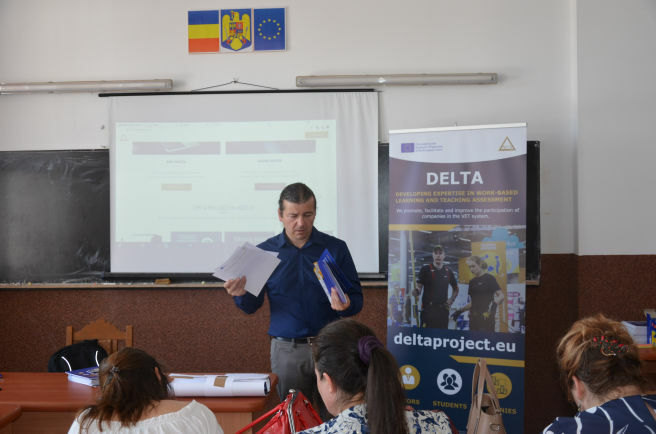 Between May 24th and May 25th DELTA team met for the 2nd time to work on the projects' outputs. 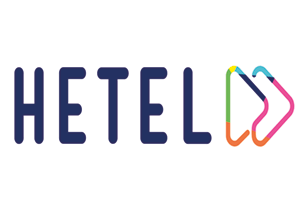 The meeting was hosted by partner HETEL. First meeting took place in Dundee, hosted by D&A. The team met for the first time and prepared the workplan for the next period. 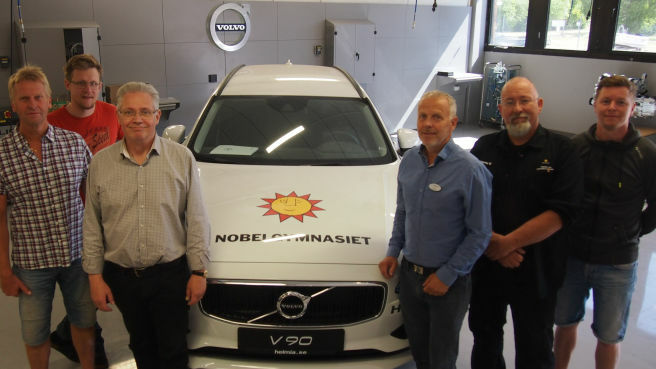 The project will promote a better understanding between the world of vocational education and the world of companies, and communicate how students learn in vocational colleges. 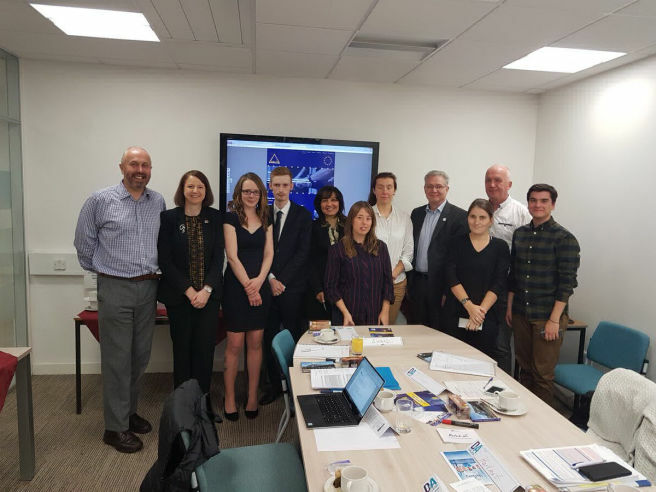 The project will also produce materials to develop the skills of tutors/mentors in companies so they will be better prepared when hosting a VET student, either through dual VET programmes, apprenticeship schemes or any other method of practical in-company training. The skills and competence of tutors and mentors to carry out the follow-up and assessment of the VET student, using a 'learning outcomes' approach. The development of a systematic procedure which will govern the relation between the VET college and the company which hosts a student (roles, responsibilities, tasks) with the objective of facilitating the integration of the VET student in the company and ensure the quality of the apprenticeship period. 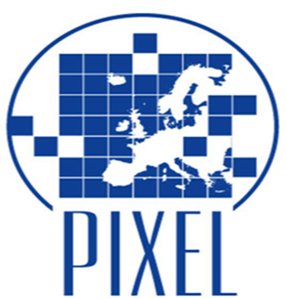 With the credibility of the partner companies participating in the project and associate partners validating the results, the planned dissemination strategy through industry associations will ensure the greatest impact across partner countries' VET systems. Horizontal measures to improve achievement in relevant high-level transversal competences in a lifelong learning perspective are also covered by this approach – the staff involved bring these techniques to a wide audience in their activities, and the students and VET trainees/apprentices in the programme will take these skills and the recognition of them further in their life as their career develops. DELTA Team will meet and work together over 4 transnational meetings, taking place in Dundee, Durango, Berlin and Florence. A three day event in Germany brings together the lead VET teachers from the countries listed below to share experiences, review and develop the outlines and framework/specifications for the IOs. Each partner will organize 2 multiplier events - in May-June 2018 and May-June 2019, addressed to teachers, tutors, mentors, company owners and other stakeholders. We focus on the skills of tutors/mentors in companies, aiming to develop these skills further. We provide the necessary resources to host, receive, monitor and assess VET learners according to the requirements of VET programmes. 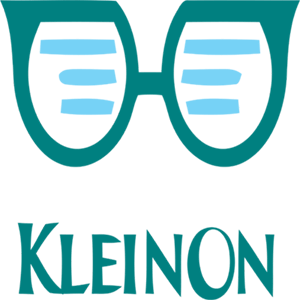 We ensure the skills developed by those learners are in line with their company's needs. The DELTA digital portfolio is a set of multimedia materials designed to bring VET colleges closer to companies. Although in all partner countries there are different modalities of work- based learning, the relation between the company and the VET college is usually based on the principle "what the student should know about how the company works". The DELTA toolkit is a set of documents and materials addressed at companies in order to assist them in the process of hosting a VET student, from the selection of the student, the design, together with the VET school of his/her training pathway, the organizational and administrative changes in the company, the follow up and assessment of the student and the assessment of the impact the hosting had in the company. This output is a report and guidelines intended for those companies which are too small or too specific to be able to take apprentices (eg because they cannot dedicate personal resources or because they cannot cover all the curriculum needs of the apprenticeship).